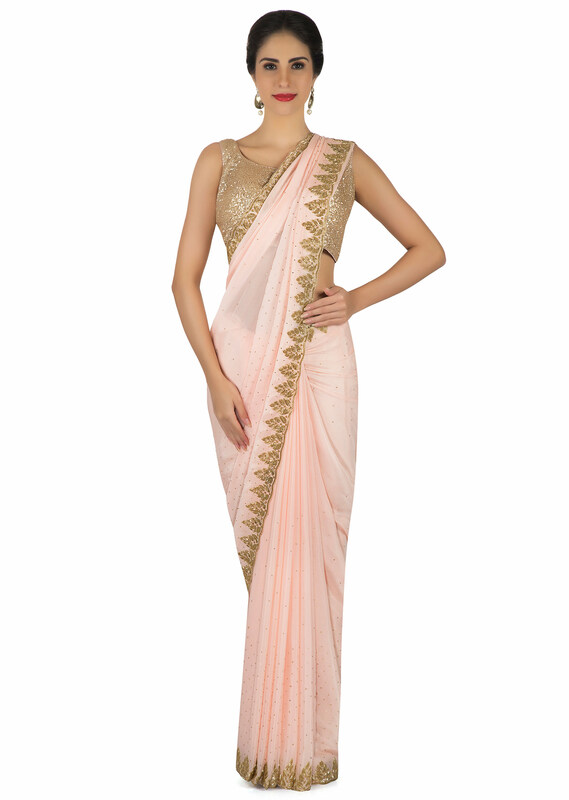 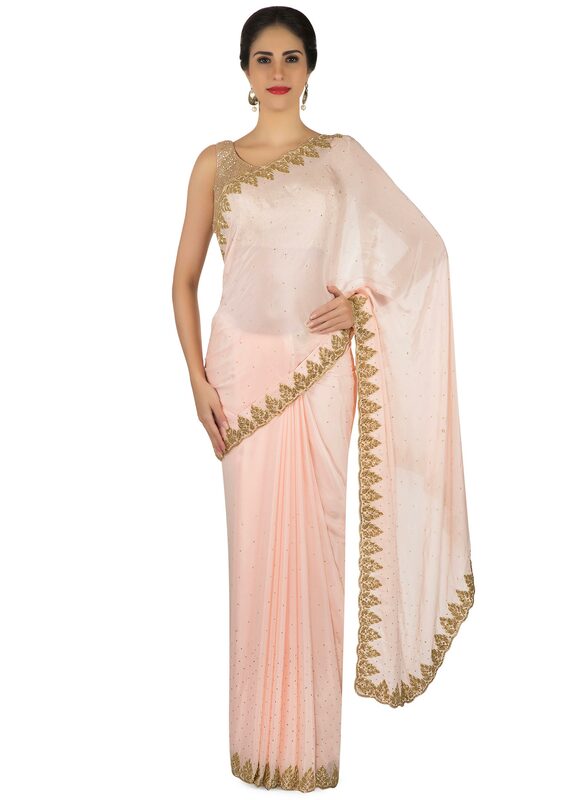 Baby pink saree featuring in satin chiffon. 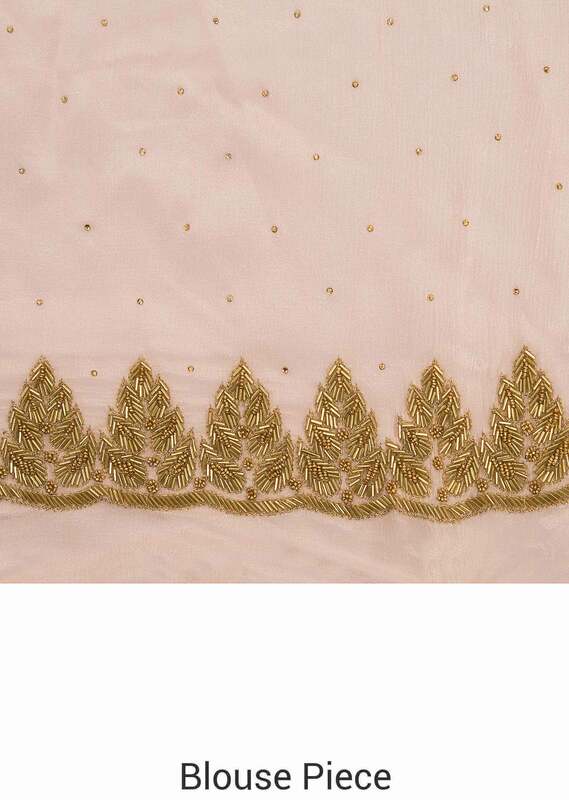 Enhanced in kundan all over with border embellished in cut dana embroidery. 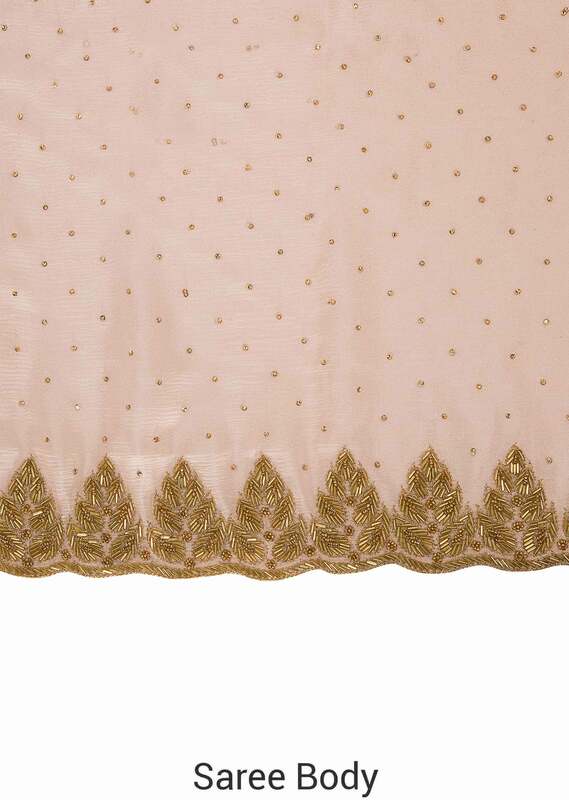 Matched with unstitched blouse in baby pink Slight variation in color is possible.